The Lenox girls soccer team defeated Ware 2-0 on Wednesday, Nov. 7, 2018. PHOTOS BY GEOFF SMITH. 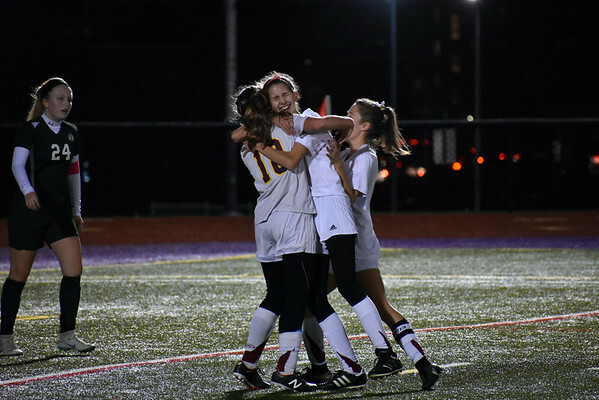 Lenox’s Mary Elliot, left, is hugged by teammate Julie Pehlert, center, and Nicole Gamberoni after Elliot scored her second goal of the night in the team’s win over Ware in the Western Massachusetts Division IV semifinals Wednesday.